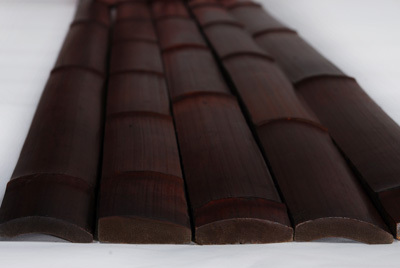 Bamboo slats are made from carefully selected moso bamboo. Available in three colors, bamboo slats are used for wall covering, bars, ceilings, wainscotings, etc. Our bamboo slats are 6’ tall, 1.75” wide and .25” thick and are perfectly straight. Application is easy and effortless; each strip can be nailed, screwed, glued or bolted. Each piece can be joined side by side for a tight and finished look.. A simple oil based stain can transform our natural slats to any desired color to enhance and match any décor with this natural and eco friendly material. When you purchase our Bamboo slats you will enhance your lifestyle with character and atmosphere. 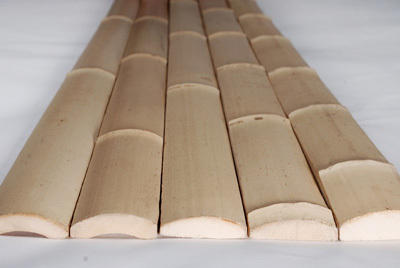 Natural bamboo Slats are harvested from large diameter bamboo called "Moso" and cut into strips along the length of the pole. 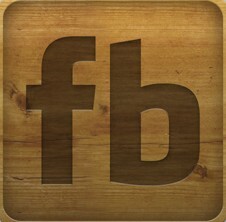 The bamboo are precisely milled while the face side is left natural. Very durable, the hard skin of the bamboo is quite damage resistant, and once urethaned, will last quie well outdoors. Application of bamboo slats are easy and effortless; each strip can be nailed, screwed, glued or bolted. Once urethaned, will last quite well outdoors. Mahogany bamboo Slats are stained with non toxic water based stain. The slats are harvested from large diameter bamboo called "Moso" and cut into strips along the length of the pole. The bamboo is precisely milled while the face side is left natural.Very durable, the hard skin of the bamboo is quite damage resistant. Application of bamboo slats are easy and effortless; each strip can be nailed, screwed, glued or bolted. Once urethaned, will last quite well outdoors.